What is Adult ADD or Adult ADHD? Adult ADD (Attention Deficit Disorder) and ADHD (Attention Deficit Hyperactivity Disorder) can manifest as a persistent difficulty with attention, hyperactivity and/or impulsivity that interferes with function or causes distress. Adult ADHD is typically treated by doctors and providers specializing in mental health (psychiatrists and psychiatric nurse practitioners) in the Philadelphia area. Why would I have problems with ADD or ADHD as an adult? Although ADD and ADHD are often diagnosed when individuals are children, symptoms can persist through adulthood and continue to cause difficulty with work or in other settings warranting adult ADD treatment or adult ADHD treatment. It is a common misconception that all individuals with ADHD “grow out” of their symptoms in adulthood. Can someone develop ADD or ADHD as an adult? Symptoms of ADD or ADHD must be present during childhood in order to make a diagnosis. However, if an individual has mild illness or is of high intelligence, they may be able to compensate for their ADD or ADHD symptoms until their school or work demands pass a certain threshold (such as starting college, graduate school or a new job). Thus, they do not develop the illness as an adult, but it begins to affect them as an adult. Diagnosis requires specialized training and there are various providers in the philadelphia area with this training. Why should I see a psychiatrist or psychiatric nurse practitioner if I think that I have adult ADD or adult ADHD? Difficulty with focus can be the result of non-psychiatric medications, medical illness, the onset of a mood or anxiety disorder, alcohol or illicit substance use, stress, diet or difficult life circumstances. Often individuals assume that they have adult ADD or adult ADHD (when in-reality, they do not). On the contrary, individuals often fail to recognize that they have a treatable medical illness (adult ADHD) if they were not diagnosed as a child. Proper diagnosis and treatment requires a full medical and psychiatric workup (often including laboratory studies). 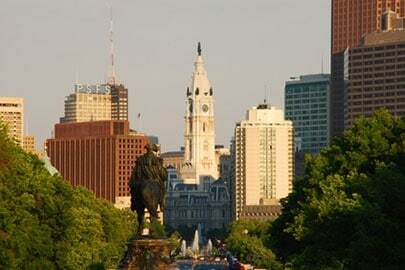 What types of treatments are available for Adult ADD or Adult ADHD in Philadelphia? Treatment for adult ADHD should be tailored to the individual and can consist of therapy, medication management and/or behavioral modification. It is vital that the physician or practitioner take into consideration life stressors that could be affecting concentration, behaviors that could be improved to increase productivity, any history of substance abuse or dependence (as some medications should be avoided or used with caution) and the possibility of a new onset mood or anxiety disorder when making a diagnosis and starting treatment. How can I find treatment in Philadelphia for Adult ADD or Adult ADHD? There are several options for finding a doctor, psychiatrist or psychiatric nurse practitioner who treats Adult ADD or Adult ADHD in Philadelphia. Finding a specialist who treats difficulties such as inattention is not unlike finding a doctor who specializes in other areas of medicine. Talk to your doctor about psychiatrists in the Philadelphia area who treat adult ADHD, call the local departments of psychiatry at Philadelphia teaching hospitals and ask who they recommend, call your insurance carrier and ask for the names of psychiatric nurse practitioners and doctors who treat adult ADD and search the internet for providers who treat adult ADD and adult ADHD in Philadelphia. Remember to specify in search engines what you are looking for (and where). For example, searching for “doctors who treat ADD” may give you a list of doctors throughout the U.S. who treat both children and adults for ADD or ADHD. Thus, use search phrases like “find a Adult ADHD doctor in Philadelphia,” “ADD doctor in Philadelphia for adults,” “adult ADHD treatment near me,” and “Treatment for adult ADHD in the Philadelphia area.” This will help to optimize your results to providers near you. If family or friends have seen local doctors who specialize in adult ADHD, it may be reasonable to ask them if they would recommend or not recommend a doctor, psychiatric nurse practitioner or psychiatrist in Philadelphia. See the “Resources” tab for additional information including numbers for local academic centers, mental health associations (for both patients and family members) and other available resources in the Philadelphia community. Kelly, K., Ramundo, P. You Mean I’m Not Lazy, Stupid or Crazy?!. New York, NY: Scribner Publishing, 2006.